Okay, this cracks me up. 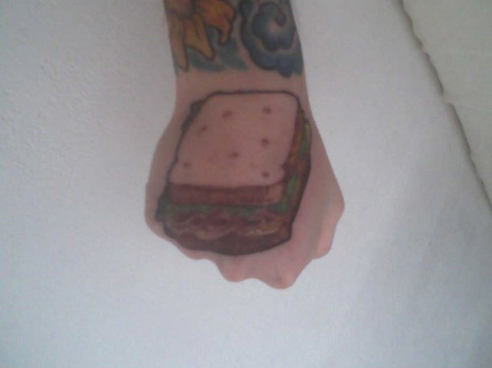 Nothing like having a poorly drawn sandwich tattoo on the top of your hand for the rest of your life! You gotta give this person an E for having a sense of humor. I know that guy! And the artist Tony is amazing!